Shirts With Random Triangles: Report: Georgia Adds Pitt Offensive Coordinator To Kirby Smart's Coaching Staff. Report: Georgia Adds Pitt Offensive Coordinator To Kirby Smart's Coaching Staff. Jim Chaney. Image via Twitter. Recently hired Georgia head coach Kirby Smart has found his offensive coordinator. The Atlanta Journal-Constitution reports that Pitt offensive coordinator Jim Chaney has agreed to join Smart's first coaching staff in the same role. 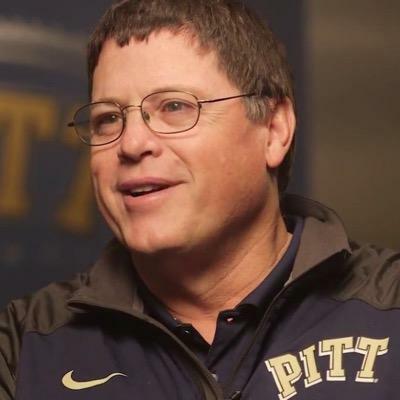 Chaney has been Pitt's offensive coordinator for one season. He previously served stints as offensive coordinator at Arkansas from 2013-2014, Tennessee from 2009-2012 (serving one game as interim head coach following the firing of Derek Dooley in 2012), and Purdue from 1997-2001. He served as an assistant coach for the St. Louis Rams 2006-2007. Pitt went 8-4 in 2015. The Panthers will face Navy in the 2015 Military Bowl at Navy-Marine Corps Stadium in Annapolis Md. on Dec. 28.